Memories are important pieces of each individual. Frequently, we associate or remember different activities that we did with certain people in our past. Again, this holiday memory comes from my grandmother. I grew up in my grandparents’ home from age five. Nowadays this may be more common place but in the mid-60’s, this was an oddity. My grandmother would make all kinds of cookies, fudge and other goodies for the holidays. I would always help if allowed. 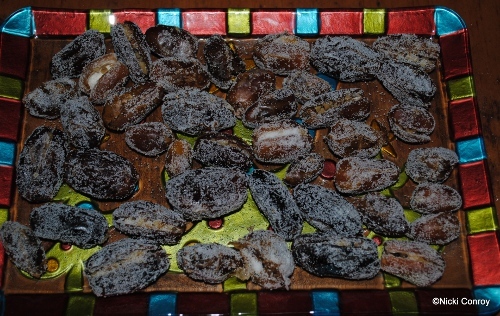 Stuffed dates were not something I enjoyed at the time but now I love dates. 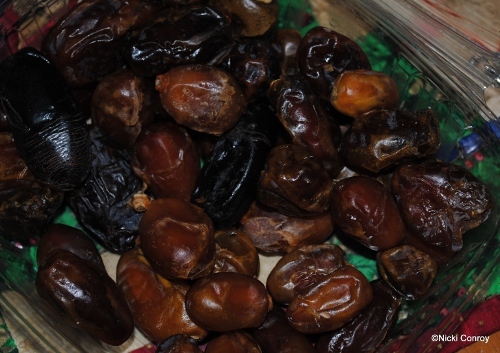 Consequently, I decided to take some stuffed dates to a party I was to which I was to bring an appetizer. 1. 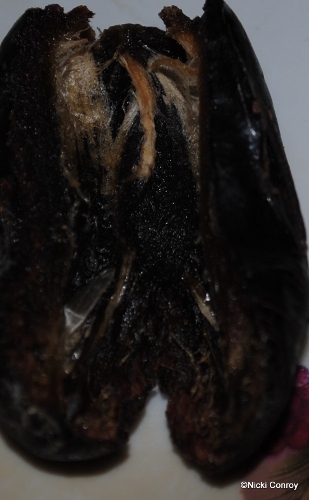 If you have dates with pits in them, make a slice in the date and remove the pit. If your dates are pitted, open the date. You may still need to make a cut line if the date does not open easily. 2. 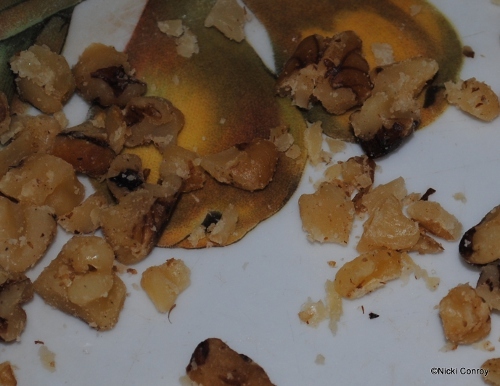 Chop walnuts to a small pieces. 3. Place chopped walnuts in the opening in the date. 4. Pinch date closed and roll in sugar. 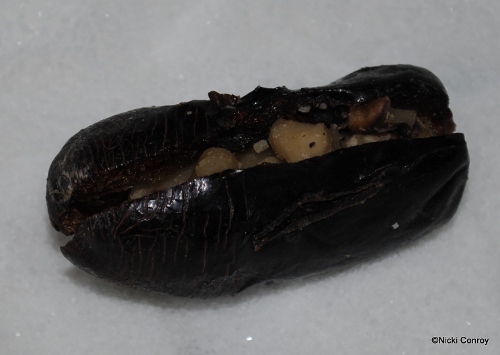 This is approximately one pound of dates.